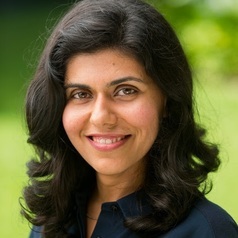 Marjan Houshmand is an Assistant Professor of Management at Shidler College of Business at the University of Hawaii. She is the Associate Faculty Director of the Family Business Center of Hawaii. Her research aims at understanding how the interplay between entrepreneurship and family affects family members professionally, psychologically, and financially. Her research has been published in leading journals such as Family Business Review, Human Relations and Research in the Sociology of Work.